Q. What are the benefits of wood plastic composite decking? A. Composite decking boards are maintenance free and environmentally friendly. They also have weather resistant and anti-slip properties. 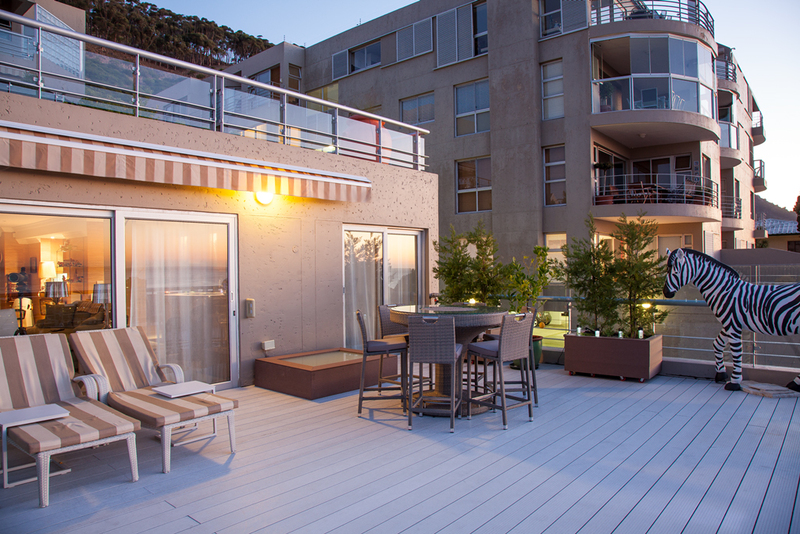 Read more about the wonderful benefits of wood plastic composite decking products. Q. What are the advantages of using composite decking over normal wood? A. Due to their amazing weather and UV resistant properties, composite decking boards are far more durable than normal wood. They have the look and feel of real wood, but without the hassle of cleaning and care. Composite boards will not splinter, rot, or crack. They won’t mould or swell due to harsh weather conditions, and colour fade is minimal. Read more about the advantages of having wood plastic composite decking. Q. What impact does wood plastic composite decking have on the environment? A. Wood plastic composite decking boards are “green” and environmentally friendly products. The boards are made from a mixture of 60% wood fibres and 40% recycled plastic, so they look and feel like real wood. As these boards are made of recycled materials and not solid wood alone, the impact on the environment is greatly reduced. Read more about the environmental benefits of composite decking. Q. How do I make sure that my wood plastic composite decking lasts for years? A. Our composite decking boards have a limited 10-year warrantee, but there are ways to make sure that your decking remains pristine. Regular sweeping and light hosing will ensure that your deck remains free of dust, twigs, sand and other organic material that may build up. Read more for other handy tips for keeping your deck looking its best. Q. How do I arrange a quotation for a decking installation? A. All of our quotations are free! Call Joris on 076-687-8649 or contact us via email for a free call-out and quotation. Q. Is there a guarantee on your composite decking products? A. Yes, we offer a limited 10-year warrantee on our composite decking boards. Any activity that changes the appearance and protective qualities of the decking boards will affect the standing of the warrantee. Q. What colours and designs are composite decking boards available in? A. Our wood plastic composite decking boards are available in a variety of colours, styles and ranges. Whether you need decking for high foot traffic or simply for your outdoor area at home, our wide range of composite products will meet your decking requirements. Read more here about our wide range. Q. What is the lifetime value of composite decking? A. Wood plastic composite decking is ultimately an investment that lasts a lifetime. As it doesn’t require painting, varnishing, sanding or staining you are saving on maintenance costs already. During the warrantee period, the value you will receive for this product far outweighs the benefits of natural wood. Read more about the benefits of composite decking products. Q. Is composite decking more expensive than normal timber? A. The initial manufacturing costs are generally expensive due to the high cost of the raw materials and specialised manufacturing. Because certain expertise is required to manufacture these composite boards (making them maintenance free, environmentally friendly and weather resistant) this adds to the cost of the product. The value and no-maintenance guarantee you are getting for the composite boards far outweighs the initial costs of production and installation. Q. Why are composite decking boards more expensive than normal timber? A. Composite decking boards are more expensive than normal timber because of it’s composite nature. Its properties ensure that the boards will not rot, splinter, or mould which contributes to its lasting lifespan. Normal timber does not have any of these distinguishing features. You are getting far more value for your money. Read more here about the composite decking features that make this product a cut above the rest. Q. Do composite decking boards need to be cleaned? A. While composite decking boards don’t require maintenance, cleaning them occasionally is always recommended. Read more about our handy tips for cleaning and care. Q. Does the colour of the decking boards fade over time? A. In the first three months after installation the colour of the board may lose about 10% of its original colour, after which the inherent colour remains permanently. The boards are UV resistant and so the boards remain stabilised to the effects of the sun. Q. Should composite decking boards be sanded? A. No, the boards should not be sanded as this will affect their protective elements and also affect its appearance. Sanding the boards will also create problems in terms of the warrantee.